In a pot of salted boiling water, cook the potatoes until tender. Cool in cold water and drain. Cut the potatoes in half. 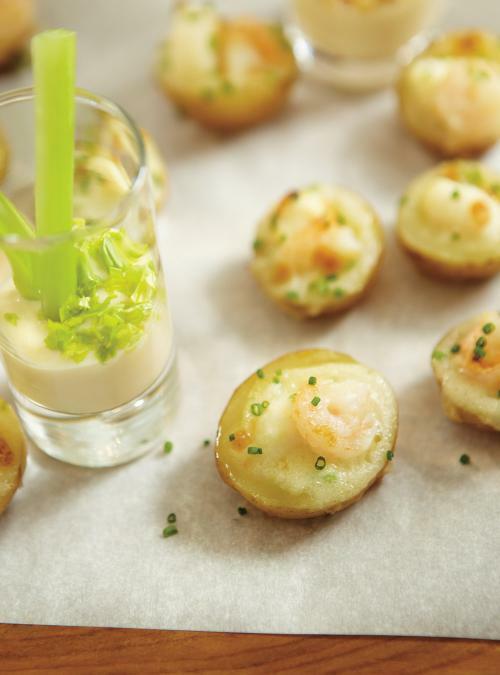 With a melon baller, remove a small ball of flesh from each potato half and reserve for another use. If necessary, cut the rounded part off each potato half so they sit flat while baking. Set aside. In another pot, melt the butter. Add the flour and cook for 1 minute, stirring constantly. Add the broth and wine and bring to a boil, stirring with a whisk. Simmer for 2 minutes. Remove from the heat and stir in the cheese until melted. Season with salt and pepper. Add the seafood and chives. 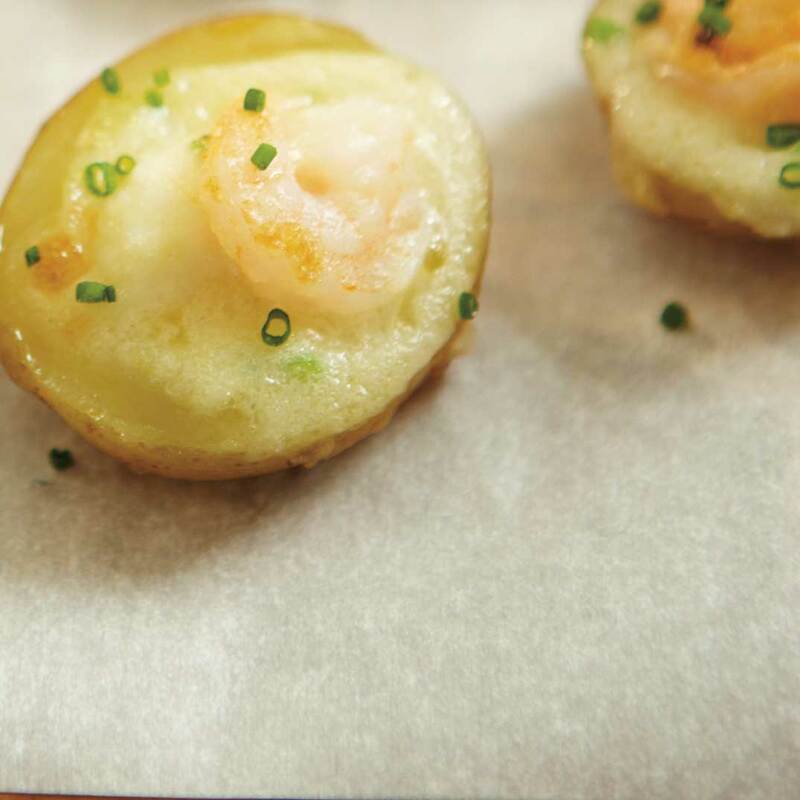 Fill the potatoes with the seafood mixture pressing in the shrimp and scallops. Place on a non-stick or foil-lined baking. With the rack in the top position, preheat the broiler. Bake for 7 minutes or until they begin to brown and are heated through. Sprinkle with more chives. Serve immediately. Made this for appy with Christmas dinner. A smashing success. Scallops so tender when not cooked first. The heat of the sauce and broiling made them perfect. Was told this was best ever Christmas dinner. Paired with a wicked pino. Yum.